It's finally spring and that means it's Walk season! Help us raise funds for anti-hunger programs right here in Connecticut and enjoy a fun afternoon in the park! Four locations to choose from! Don't delay! Register today! Got time? 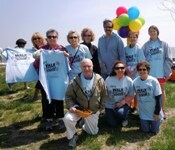 Volunteer at a Walk Against Hunger! 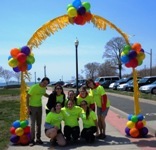 Adults interested in volunteering at the Greater Bridgeport, New Haven and Waterbury Walks Against Hunger are encouraged to email kdamien@ctfoodbank.org. 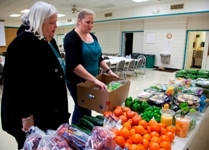 A new report by Feeding America and the National Foundation to End Senior Hunger shows that food insecurity has a negative impact on the health and nutrient intake of senior citizens. 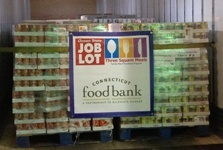 If you shopped at Ocean State Job Lot over the holidays and you donated to Connecticut Food Bank at the register, you played a major role in the "Three Square Meals" Program! We received 18 pallets of nutritious food and we'll receive even more throughout the rest of the year! For every code entered online from specially marked General Mills products, five meals can be secured for Connecticut Food Bank. 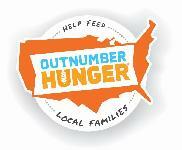 Enter codes from 4/14 to 5/18 and we can provide more meals for hungry families! The Great American Milk Drive is Under Way! You can help get milk to more people in need in Connecticut! The goal is to deliver two million gallons to food banks across the country! Click here to learn more.